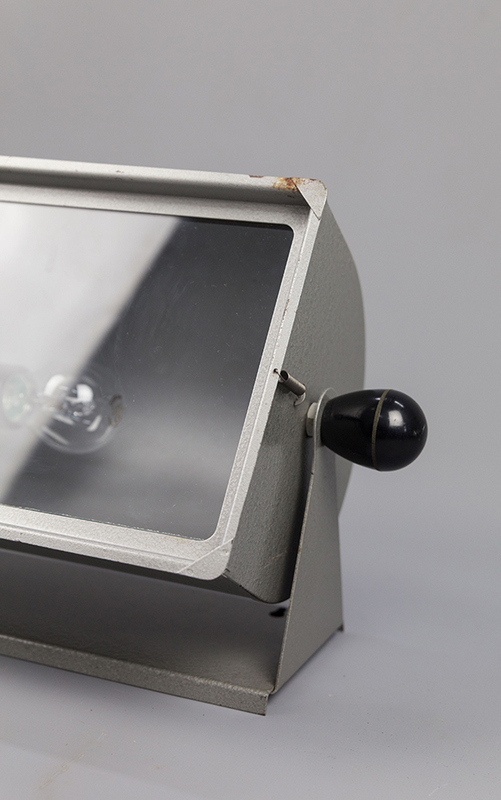 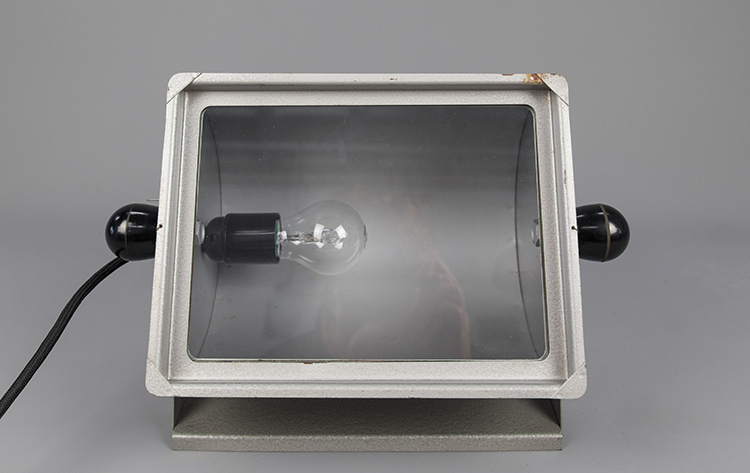 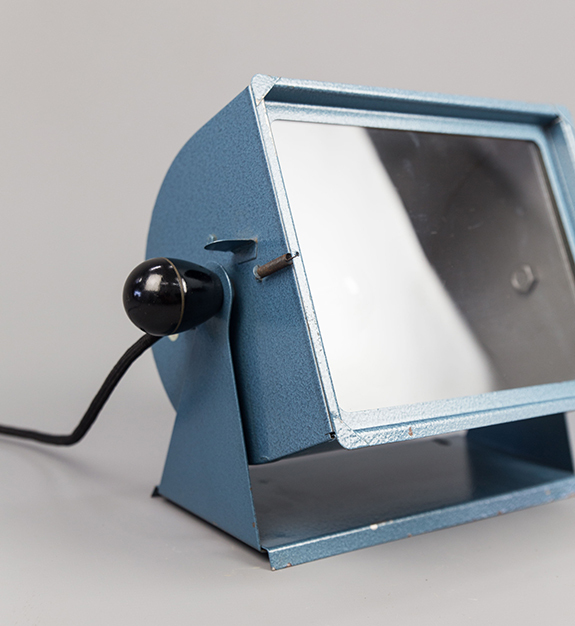 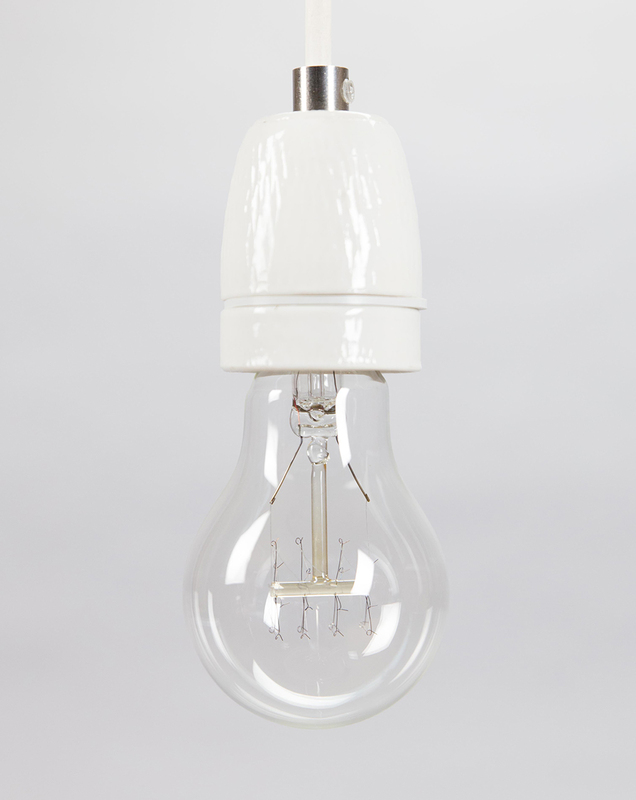 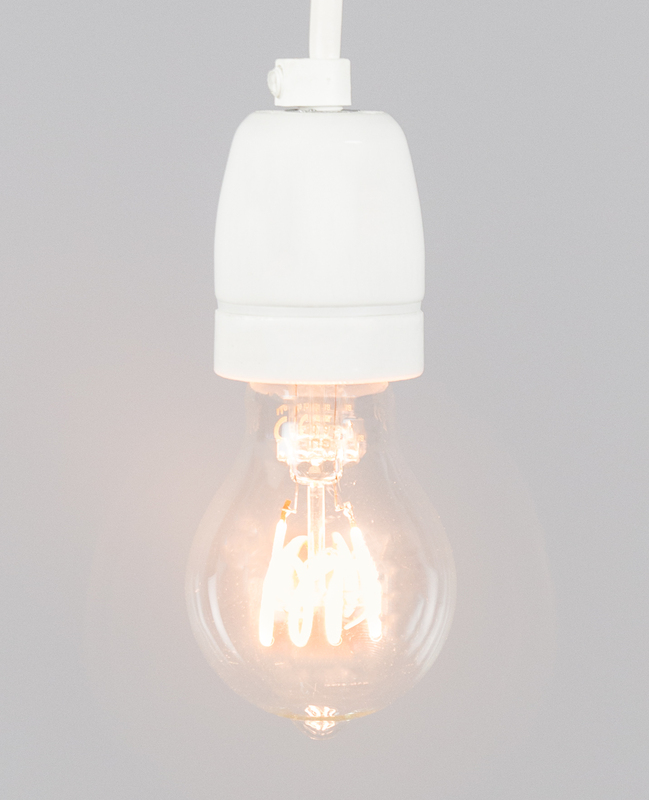 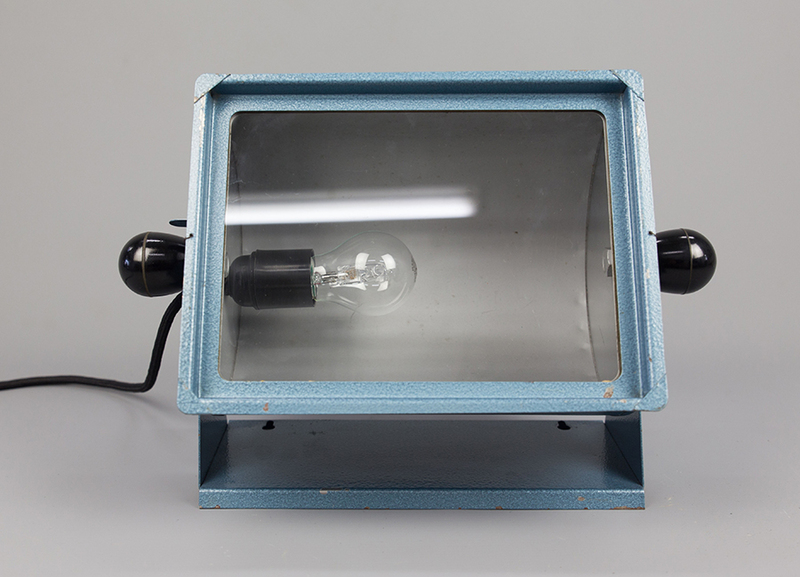 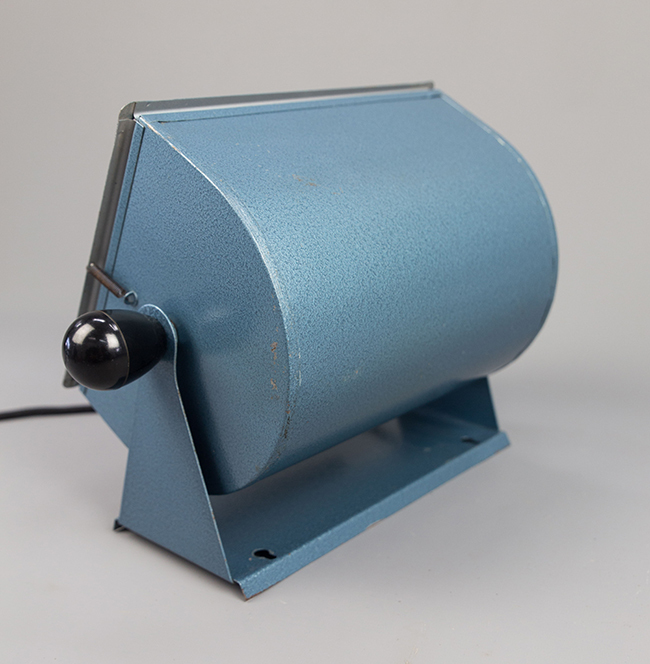 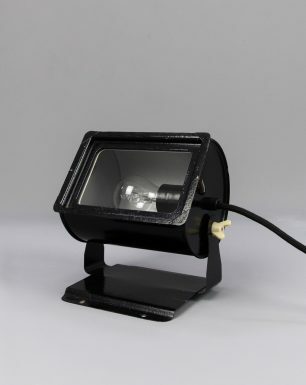 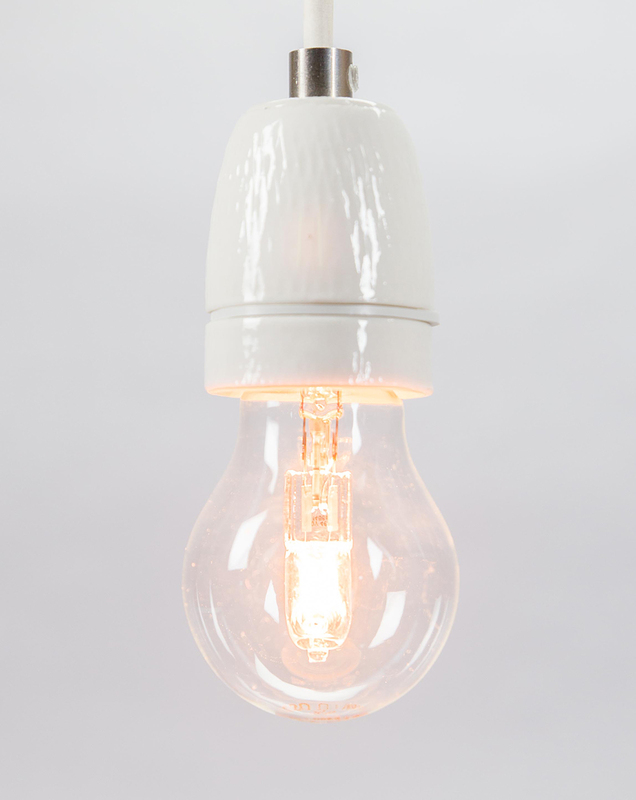 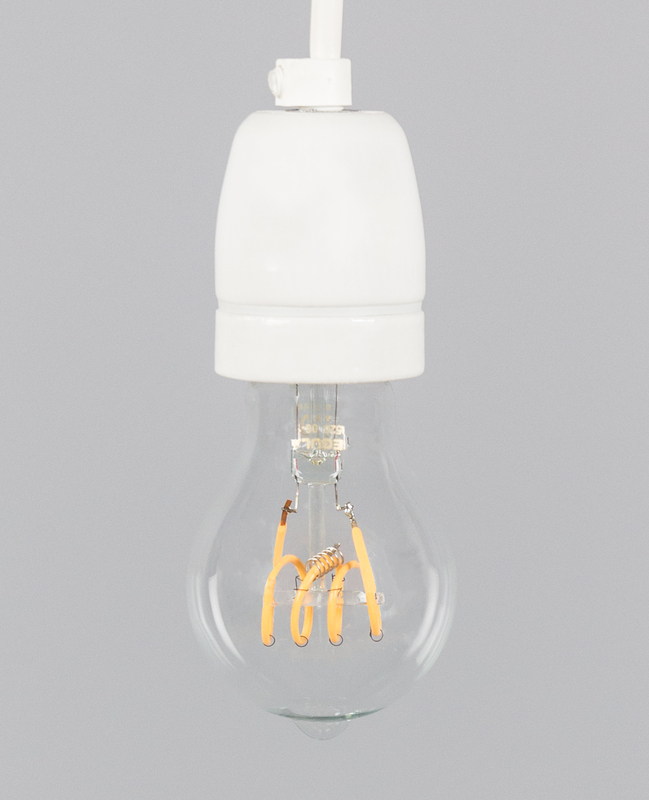 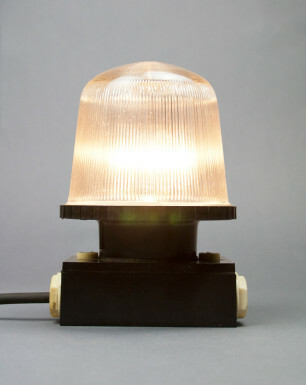 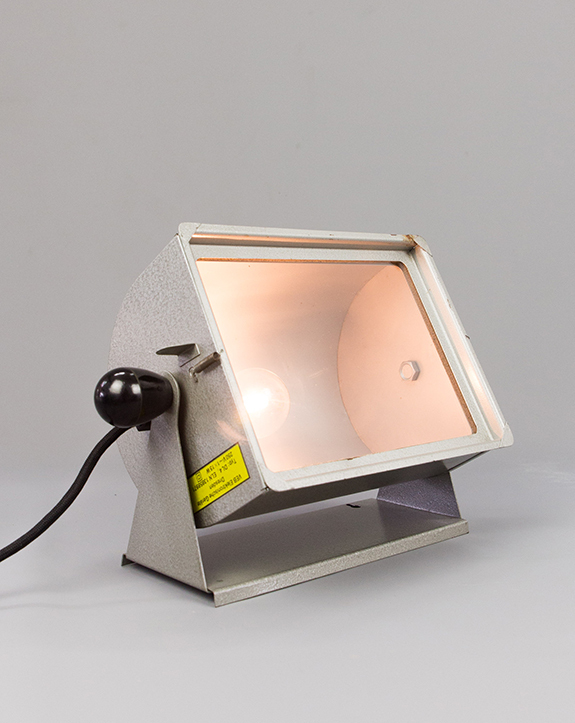 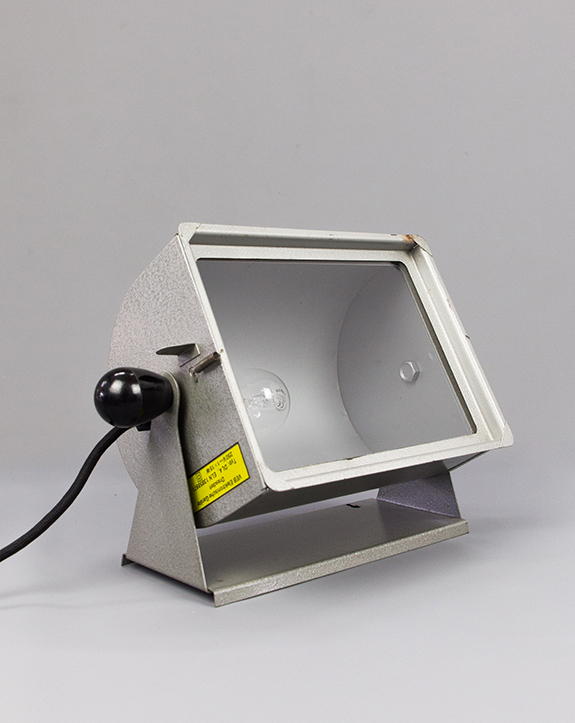 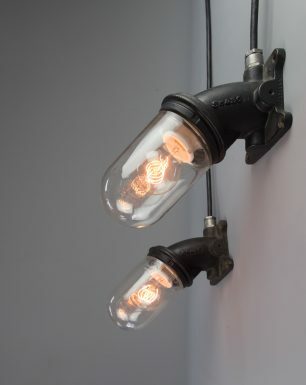 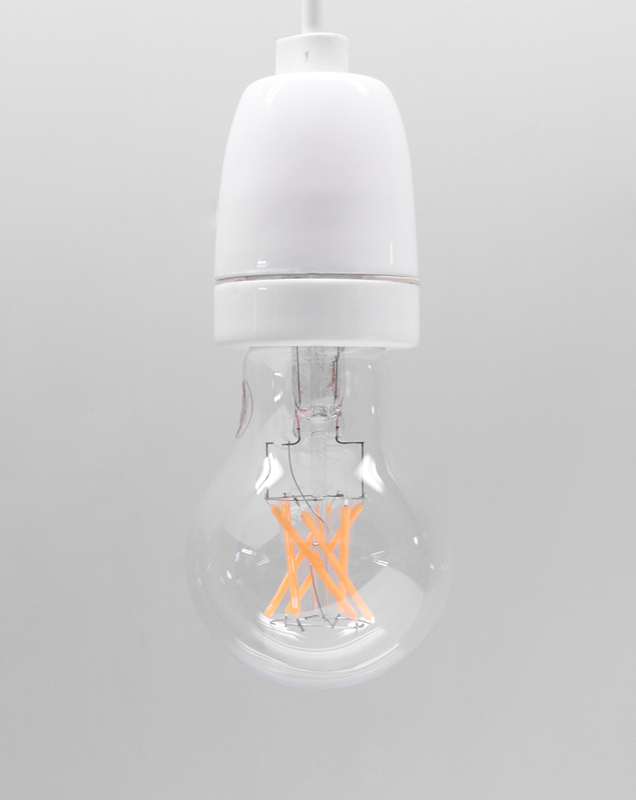 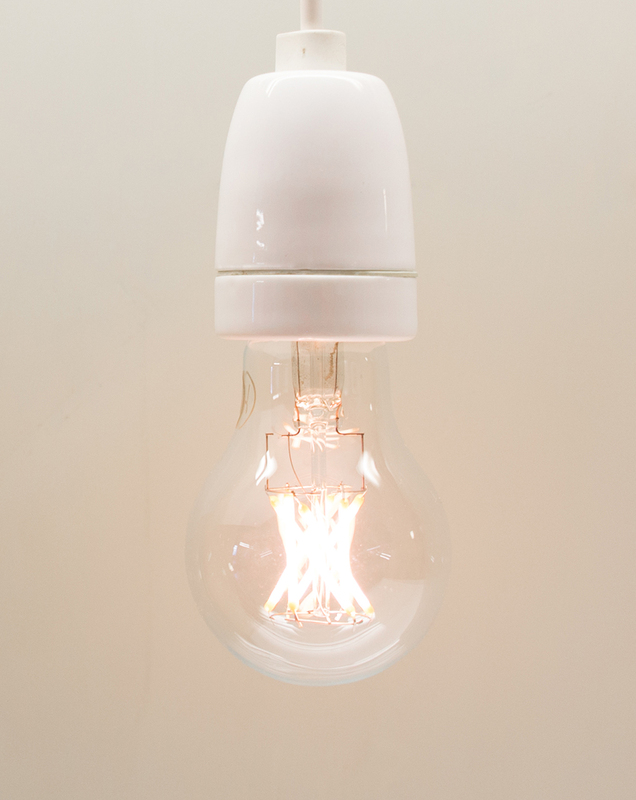 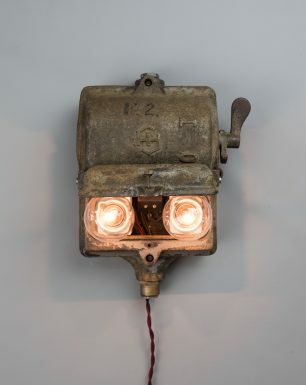 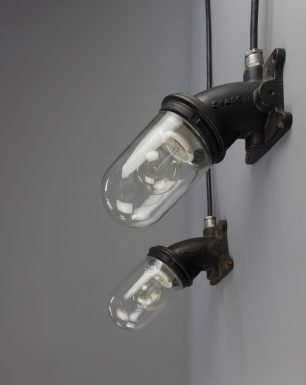 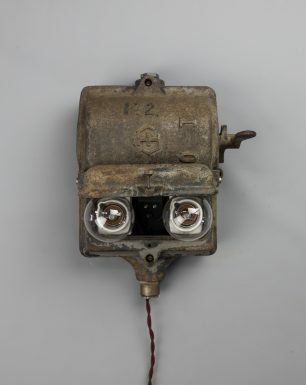 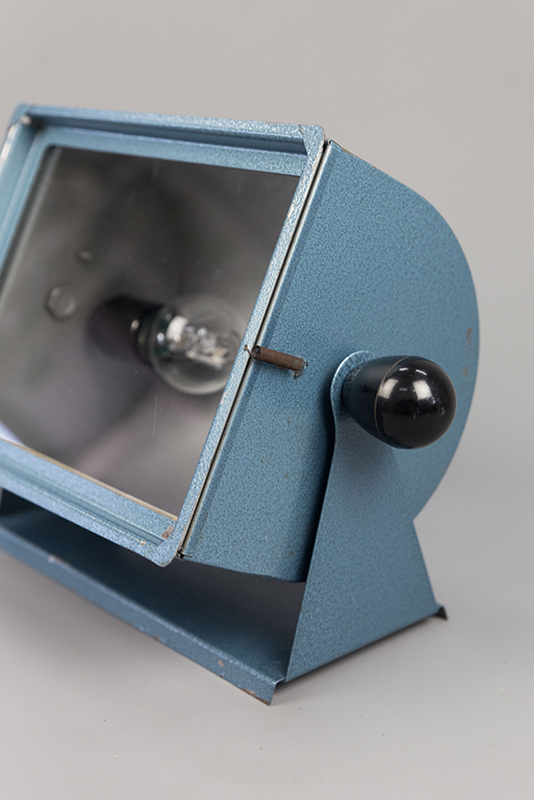 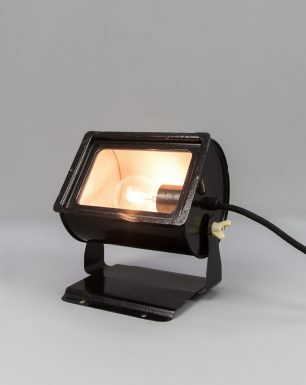 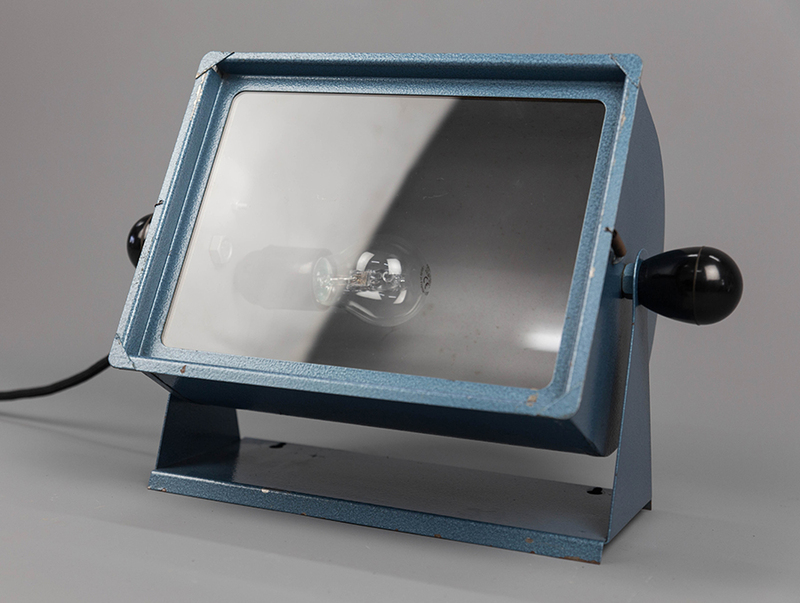 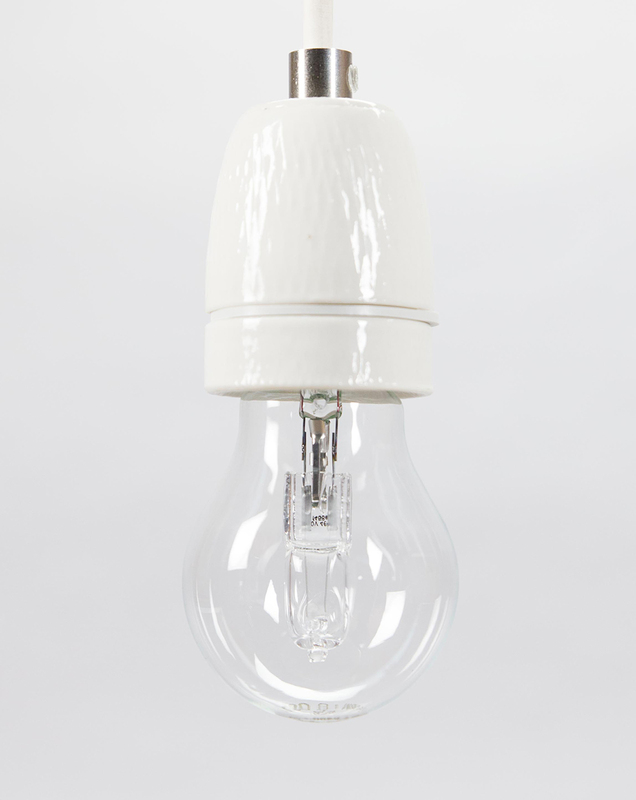 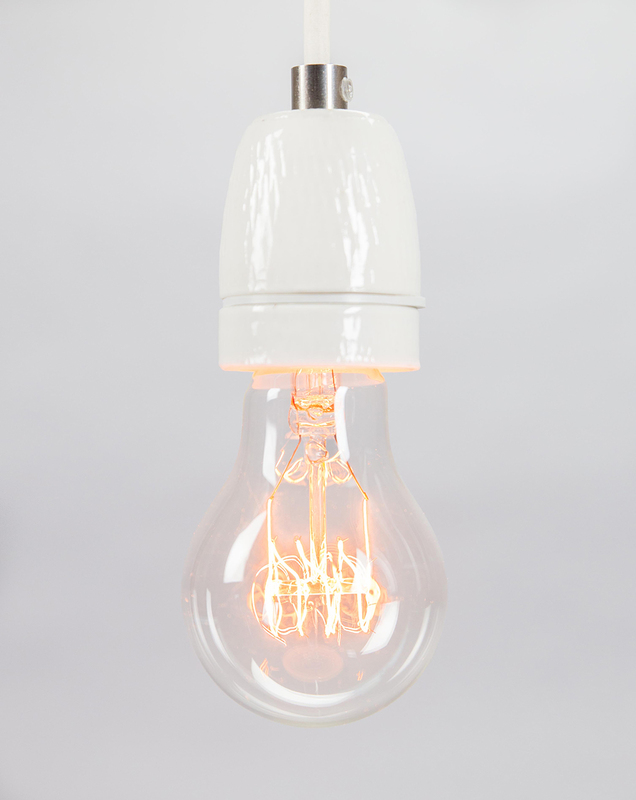 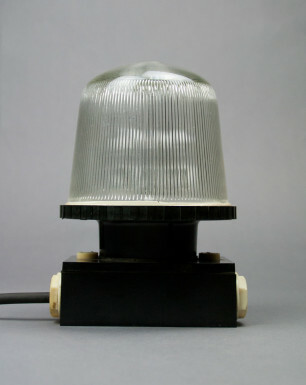 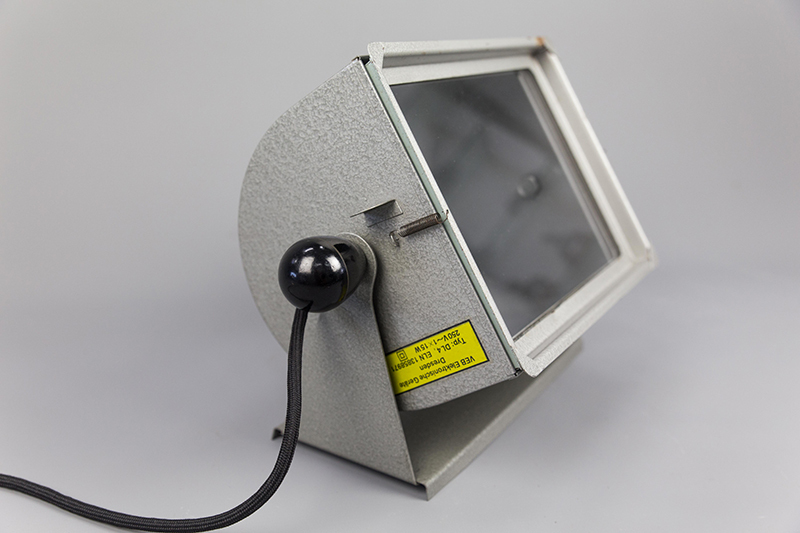 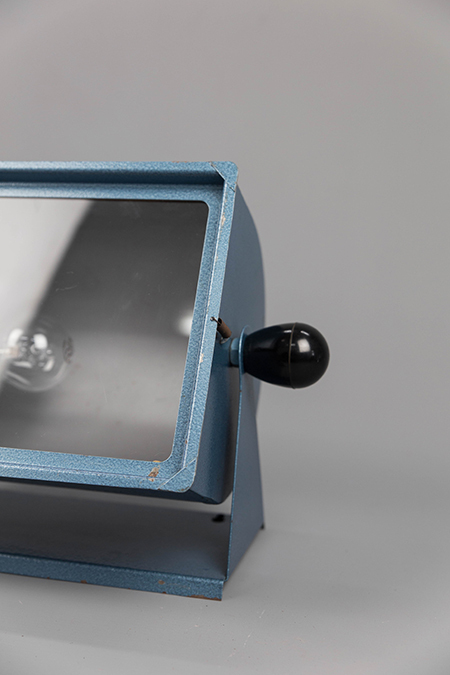 This light is originally manufactured by VEB Elektronische Geräte Dresden and used to function as a darkroom light in a photo laboratory. 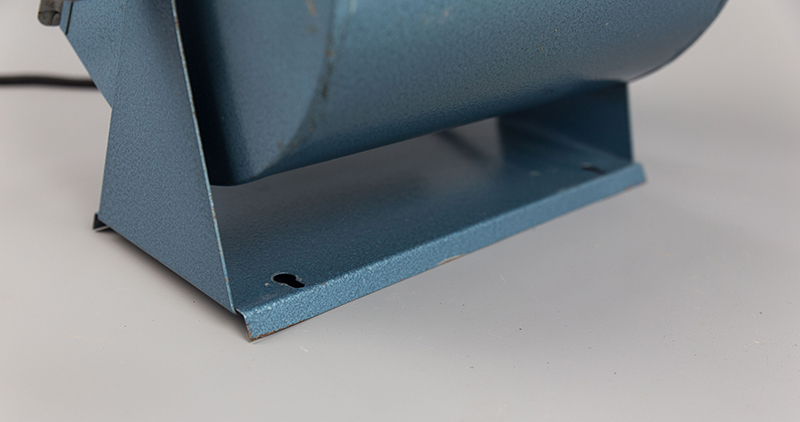 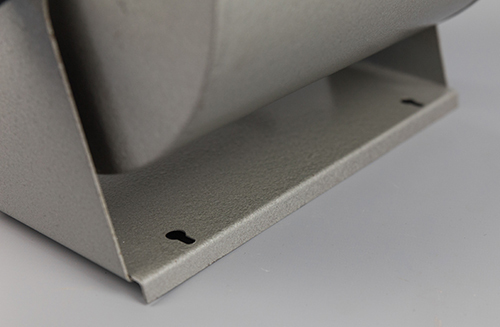 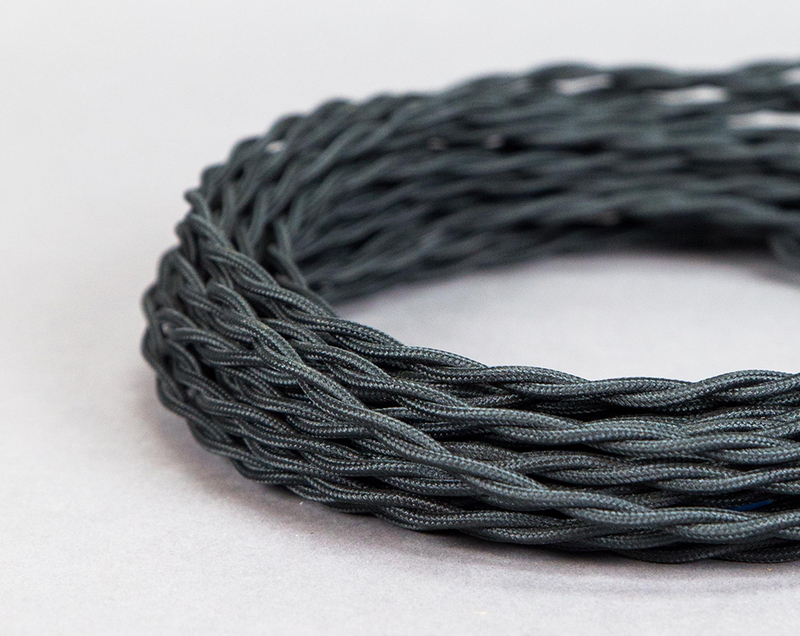 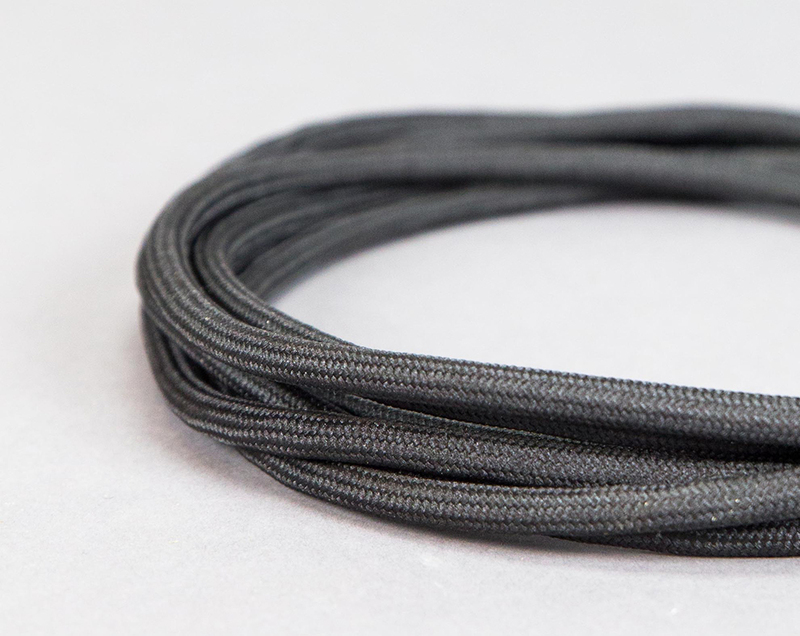 The Pigeon consists of a metal housing and wall holder with a hammerite finish. 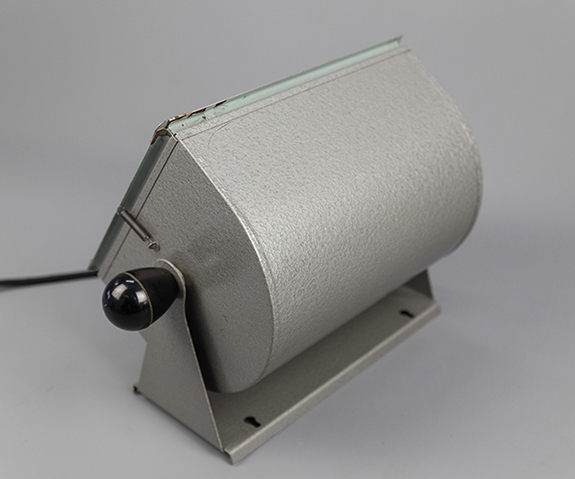 It used to have dark glass, suitable for the darkroom, we replaced this with transparent glass.